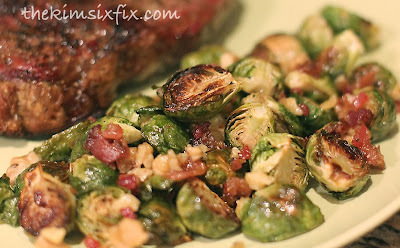 I’ve share some brussels sprouts recipes before (a LOT of brussels sprouts recipes) but today’s is a good one! Plus it is pretty easy. You par-cook the sprouts in the oven first, and finish them in the pan so you don’t have to stand there and watch them the whole time. 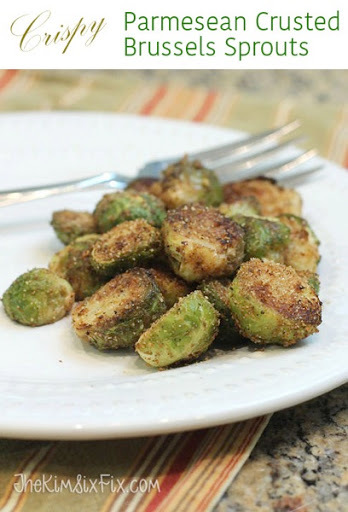 The result is a crispy outer crunch that is salty and cheesy to balance against the soft moist delicate interiors of the sprouts. I served them along side some grilled chicken skewers and a baked potato and they were the highlight of the meal. And cut them in half so we can crisp up all the layers. Toss them in 2 tsp of olive oil and place them in a single layer on a bakings sheet, making sure to keep them separate if at al possible. Bake at 350 degrees for 10 minutes or until brown and crispy. They will not be cooked all the way through. Next combine breadcrumbs, cheese, salt, pepper and Italian season in a small bowl. 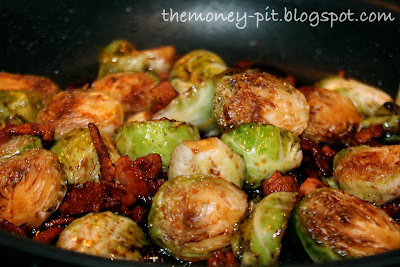 Add par-cooked sprouts to a hot frying pan (with remaining 2 Tbsp oil). Once they are evenly coated with the oil, slowly add the cheese and breadcrumb mixture. You want to be sure to remove them from the heat so you don’t scotch them. Don’t over-mix them either. 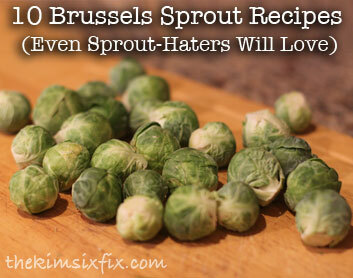 After sprinkling the breading onto the sprouts, if you stir them too much, it will knock the coating off. And that is all there is to it. Mind kind of recipe! Fast and easy.